FREE Whole Chicken With Family Meal Purchase! 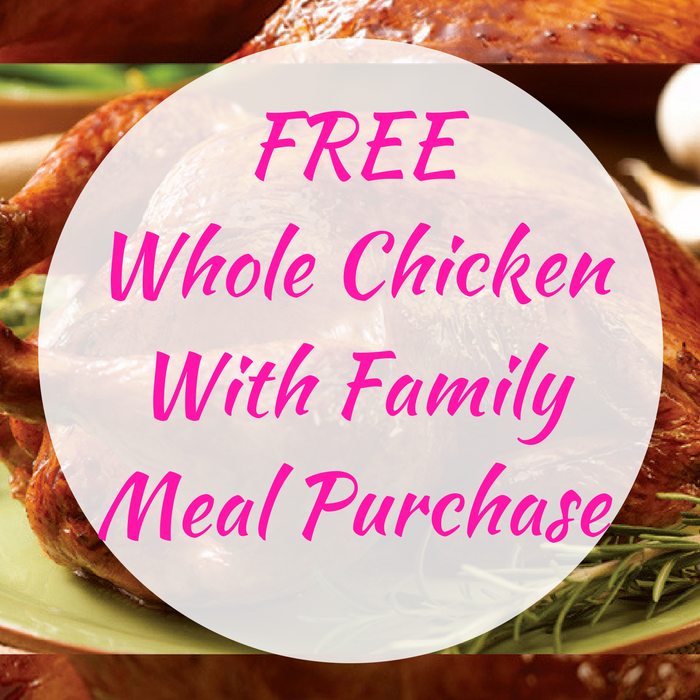 You are here: Home / FREEbies / FREE Whole Chicken With Family Meal Purchase! Until October 22 only! Click here to print a coupon for FREE Whole Chicken With Family Meal Purchase of 4 or more at Boston Market! The coupon is valid at all participating Boston Market restaurants and has a limit of one per person. It’s a great deal! Don’t miss it!